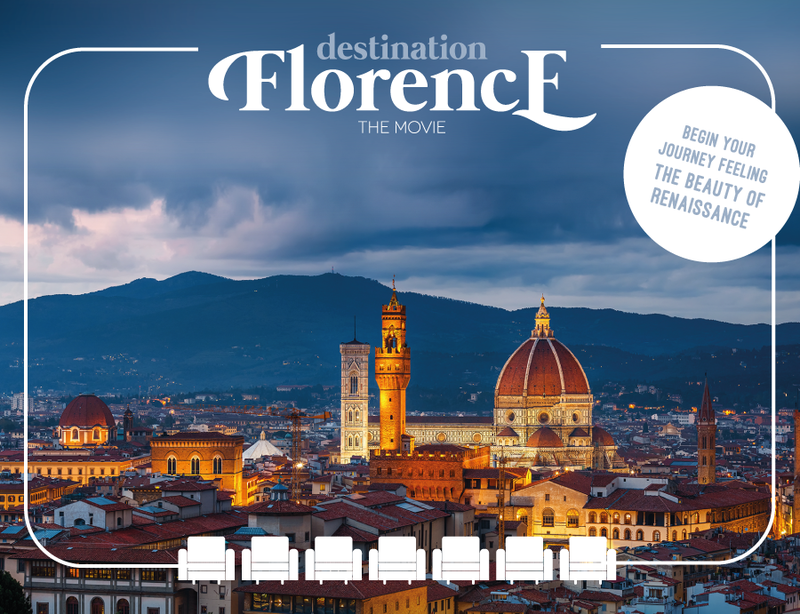 Florence as you have never seen it before. 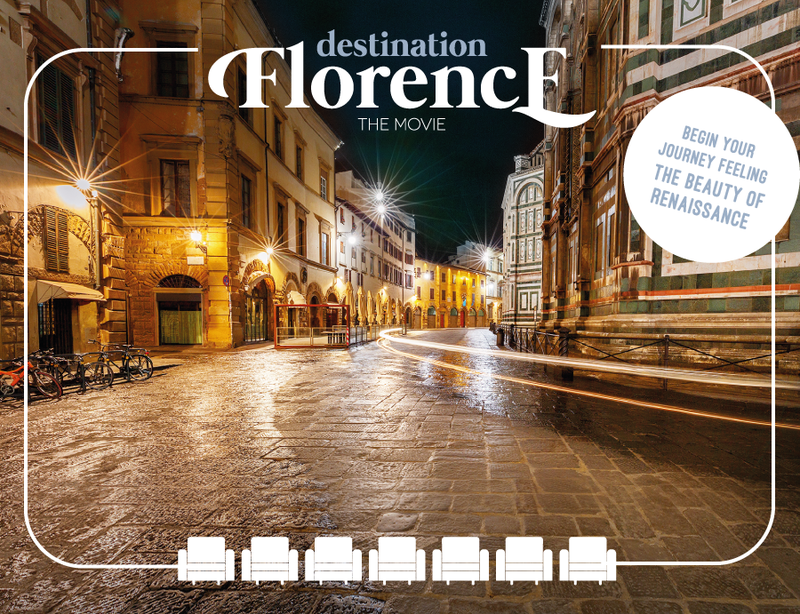 Discover Renaissance treasures in a nighttime journey through the wonders of Florence. 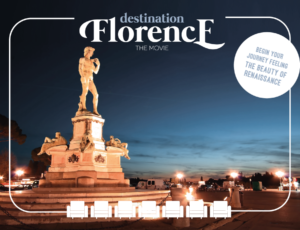 Streets, piazzas, towers, churches, sculptures and paintings take center stage in Destination Florence, begin your journey feeling the beauty of the Renaissance. 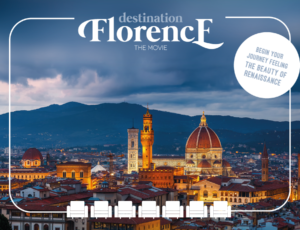 This Rai Com production offers a different and intimate take on Florence, presenting spectacular, never-before-seen images of the city in all its glory. 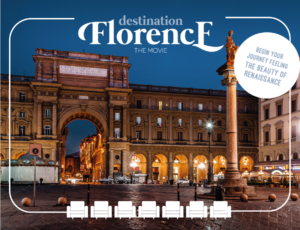 Embark on this journey to discover Florence and its lesser-known features, an inspiration point for your visit and a chance to uncover new and astounding paths around the city. 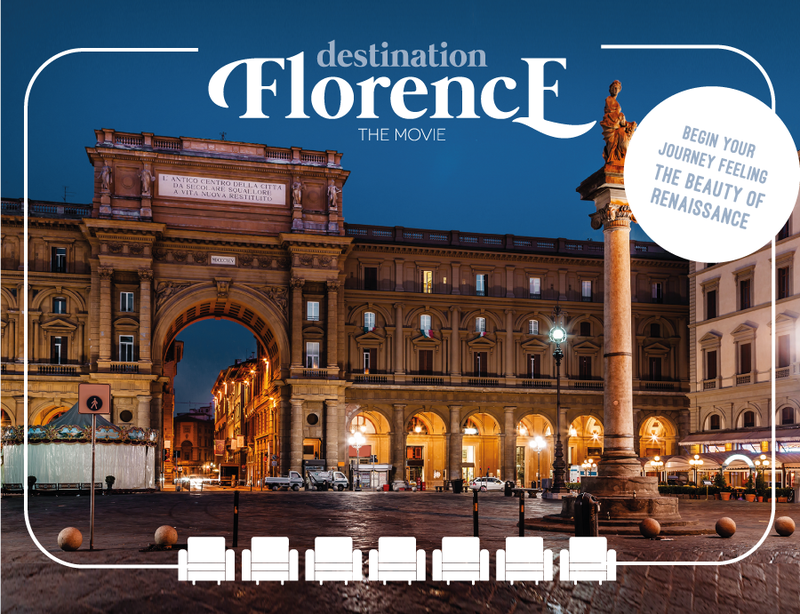 Be swayed by the breathtaking images and mysterious settings that frame the city’s Renaissance masterpieces. 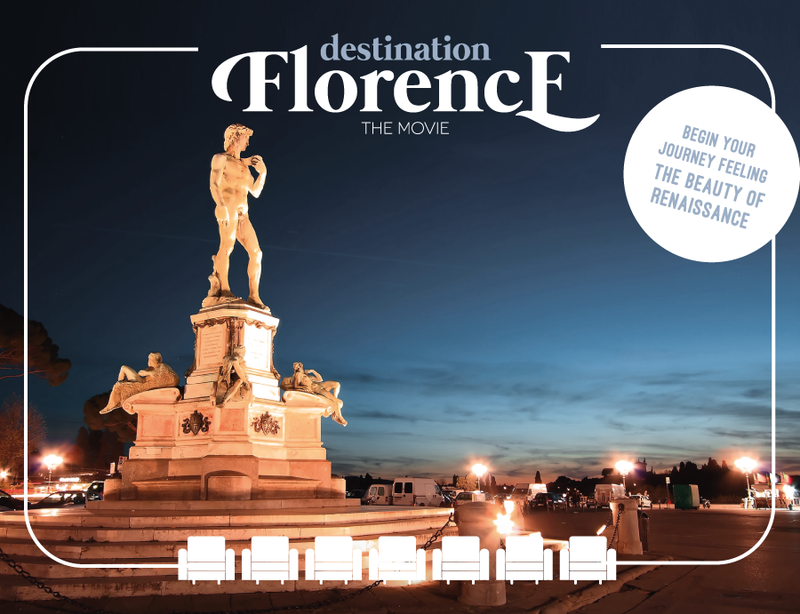 A journey at nightfall – without the bustle of daytime crowds – to admire one of the world’s most incredible artistic and cultural legacies. In the silence of the sleeping city, the art will speak for itself, unveiling the secrets behind Florence’s enchanting beauty that has captivated all for centuries. A movie theatre and a bistro, within walking distance from the Dome.